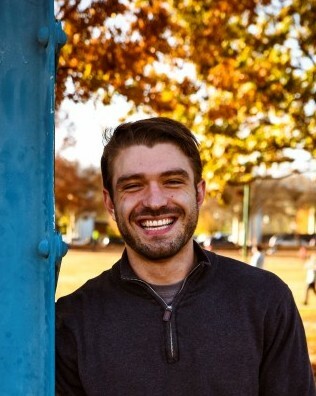 Cameron Oliver, 28, of Ringgold, GA passed away Saturday, February 2, 2019 at his residence. Cameron had lived most of his life in Ringgold and was a 2009 graduate of Gordon Lee High School. He was a fabricator by trade and had worked at Card and Monroe and was currently employed at Automation I.G. in Red Bank. Cameron loved the Lord, his family, animals, and music. He enjoyed playing video games, reading, camping, hiking, and photography. He will be dearly missed by his family and friends. He was preceded in death by his maternal grandparents, Lee Keener and Kathryn Keener; paternal grandmother, Betty Oliver; and aunt, Doreen Burke. Survivors include his Fiance’, Amy Floyd; parents, David and Sheryl Oliver of Ringgold; brothers, Josh (Megan) Oliver of East Ridge and Ryan (Savannah) Oliver of Acworth; sister, Hannah Oliver of Ringgold; paternal grandfather, Harold Oliver, Sebring, FL; maternal grandmother, Roberta Keener, Onalaska, WI; niece, Millie Oliver of East Ridge; nephew, Isaac Oliver of Acworth; and several aunts, uncles, and cousins. In lieu of flowers donations may be made to Teen Challenge at http://www.tcmidsouth.org/ or Juvenile Diabetes Research Foundation at https://www.jdrf.org/ or McKamey Animal Center at https://www.mckameyanimalcenter.org/ . Funeral services will be held Saturday at 3:00p.m. in the South Crest Chapel with Reverend Frank Kelley and Reverend Mike Manning officiating. The family will receive friends Friday from 4-8p.m. and Saturday from 1:00p.m. until the funeral hour at the South Crest Chapel of Lane Funeral Home and Crematory, located at the end of historic Missionary Ridge, Rossville.